My rabbinate has been unlike most. In my HUC interview, I stated that my intention was to be become a camp director in the Union of American Hebrew Congregations. At that time, youth work was not viewed too seriously at the College. Nevertheless, I was accepted and thrived during my time studying in Jerusalem and Cincinnati. During my third year, the directorship of Union Camp Institute opened. The camp is in Zionsville, Indiana, just two hours from Cincinnati. I was offered the job and jumped at the opportunity. For the next two years, I ran the camp from our apartment in Cincinnati with weekly commutes to Zionsville. The morning after ordination, I moved my family permanently to Indianapolis where we spent the next thirty-five years. Although I used to maintain that a camp director’s job is not very rabbinic, and for many years I was the only rabbi among the Union’s camp directors, my rabbinic training — and certainly the title “Rabbi” — helped. I was, in fact, a Jewish educator, working mainly with college-age camp staff members. Our camp was and remains a Jewish educational institute; Hebrew, Israel, Shabbat, Jewish values, and Jewish community are at the forefront of its program. In many informal ways I was able to have positive Jewish impacts on campers and staff members. Five years ago, I retired, and we moved to Bloomington, Indiana. I now work at IU Hillel, teach several classes, am a Jewish resource for the other Hillel staff. 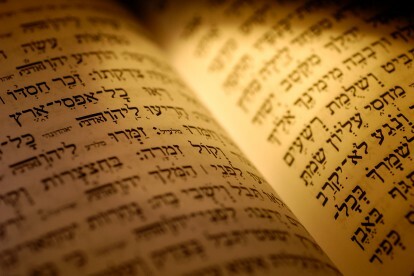 In addition, I teach four adult Hebrew classes in the greater Bloomington community. Ironically, I am more the rabbi now than I was when I was actually working. I have shed the nonrabbinic responsibilities I had as a camp director (administration, supervision, budgets, physical plant, fund raising, etc.) and now concentrate on teaching Judaism and Hebrew. I was ordained in 1977, almost forty years ago. Lessons, texts, concepts that we dealt with at that time come to my mind daily. Besides a leadership role here in the Bloomington Jewish community, I am called upon to officiate at many life cycle events each year. Being a rabbi has now kicked in full gear. I couldn’t be happier.